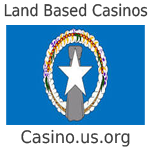 In the region known as the Northern Marina Islands , which are located between the country of Guam and the commonwealth of the Northern Pacific Island, is the one main casino that is the heart of this region’s shows, gambling , and entertainment . This casino is the Tinain dynasty hotel and casino . The casino is located on one of the three major islands , which make up the commonwealth of the Northern Marina islands . Is located only 35 minutes from Guam . As of this time this is the only casino in this area, although there are many plans to be building some other casino and resorts, the people who are in charge have left this undertaking to the people who live in the regions. The Tinain dynasty hotel and casino has a total of 99 gaming slot machines. This slot machine entertainment gives the players all the fun and enjoyment, with over the top sounds and graphics, just like any other casino. If you want a sophisticated game this casino has 8 Baccarat tables, six backpack tables , one Craps table, five mini- baccarat tables, 3 Sic Bo tables, and five Roulette tables. this gives you more than enough gambling table games that you can enjoy and interact with many people from all around the world. You do not have to worry about going hungry either. This hotel and Casino has a variety of places to dine, eat, and enjoy the atmosphere. You can choose to eat in any of their unique restaurants such as “ The BBQ Pit”, Broadway – Buffet, Casino Cafe , the Chinese Dynasty Court, The Japanese Sagano, or even the famous Monster Pizza. This casino in this region has a one-of-a-kind attraction with actual scuba diving, that is a major attraction for people of all ages. There is no lack on the modern day casinos either. The Tinain Dynasty Hotel and Casino is equipped with all the modern ATM machines, for the convenience of the customer, along with car rental service outlets, the ability to exchange your foreign currency to the local currency, makes it easier to enjoy the fun. If that is not enough, the casino offers safety deposit boxes for their guests to keep their belongings safe, and of course valet parking. The casino takes many forms of currency , however battle United States currency has a limit of $10,000.00 . At this time there are many ideas to create many other casinos in this region to attract more Tourists. This is mainly because the region has a wide variety of tours , and people visiting from all over the world .